We had a brilliant plan. 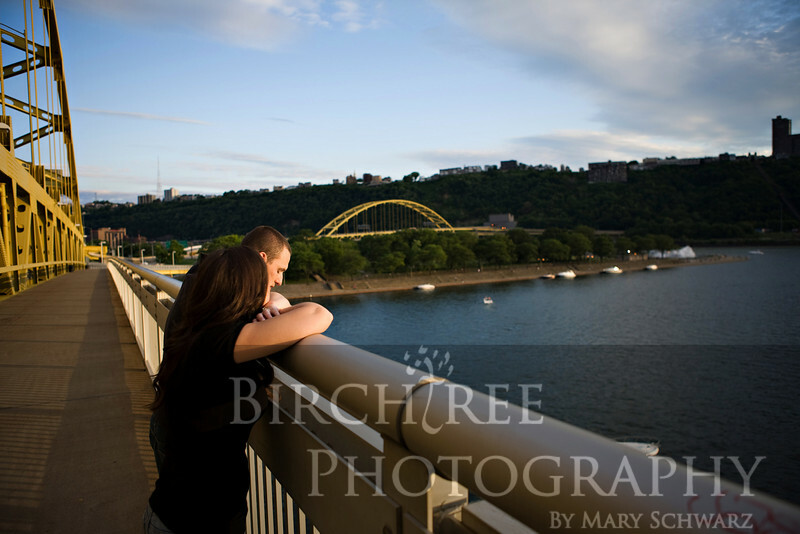 Saturday night, superb weather, great light, and an excellent location--Point Park. 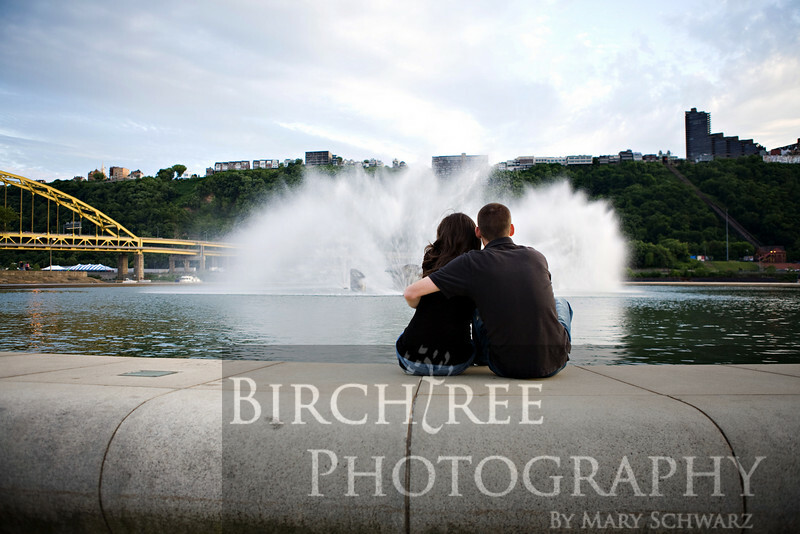 Everything was perfect--except that Pittsburgh's Three Rivers Arts Festival also thought it was a nice time and place. 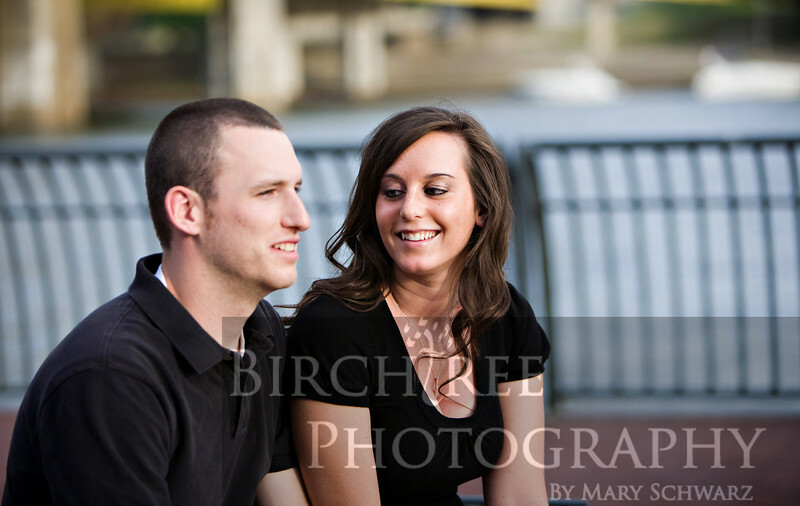 Oh well, Stephanie and Greg were good sports, so we crossed the river and found some less crowded spots. 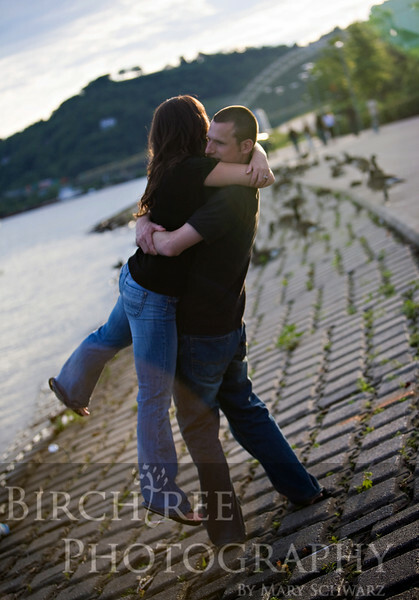 After all, they had traveled all the way from Erie for this shoot, and they weren't going to miss it. 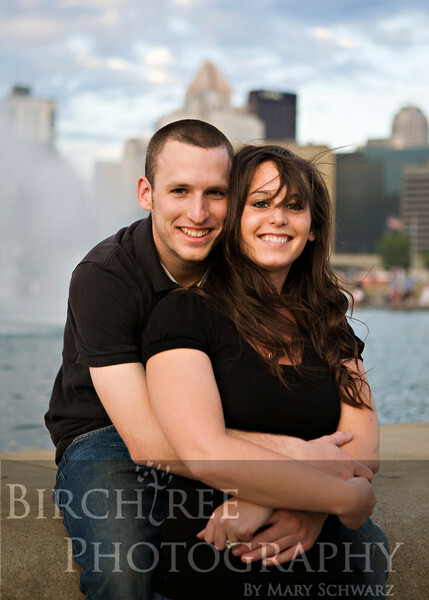 Stephanie and Greg met in college, and casual meetings at parties slowly grew into friends, dating, and now engaged. And you know what? I love that kind of story! It's real life and probably what happens to a lot of us--it certainly did me (I think Jay's and my first date was the library--how romantic!). 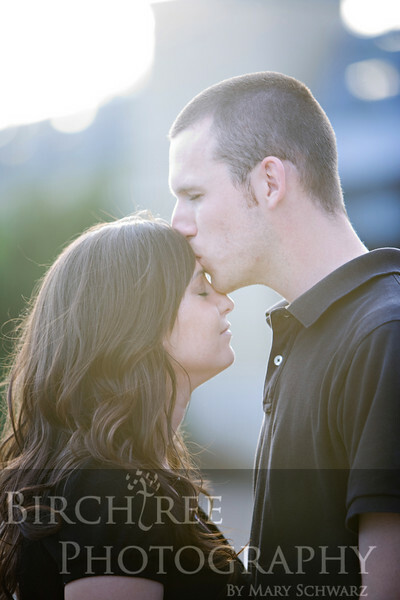 But back to Stephanie and Greg--these two are totally sweet together and very easy going. 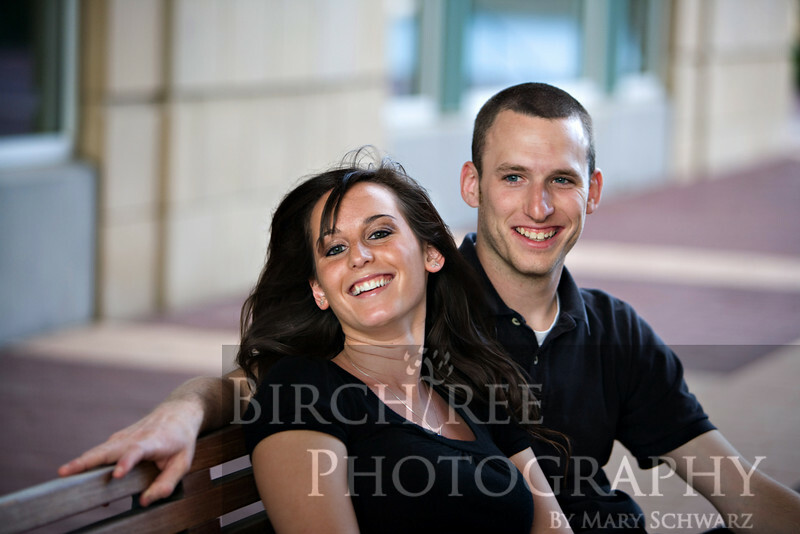 I had a lot of fun hanging out with them, and I'm looking forward to their wedding next year in July. 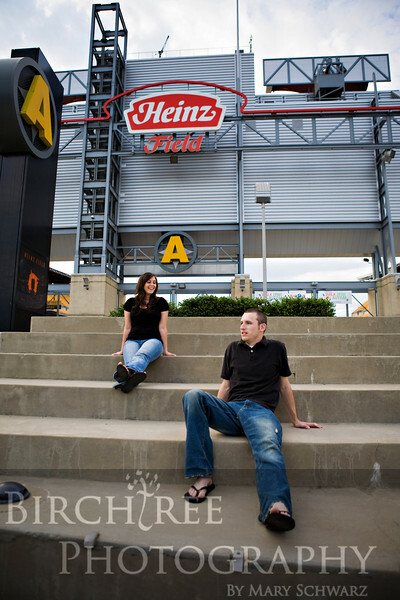 Greg's a big Steeler's Fan, so we meandered over to Heinz Field. Stephanie has such lovely hair, and I really like how it's highlighted in this photo. 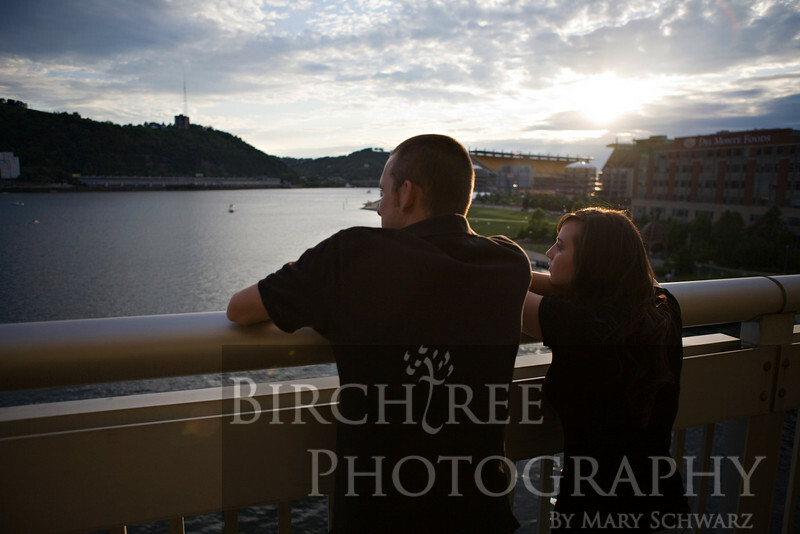 You can't beat Pittsburgh's confluence for a view.